I was executive producer, for ISEA2004. International Symposium of Electronic Art, 2004. Program Chairs were Tapio Mäkelä and Mare Tralla. The main Festival producer was Hanna Harris. 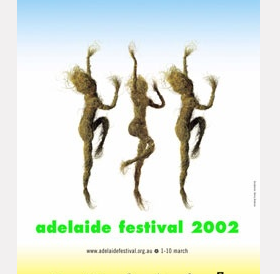 The Festival took place from 14-22 August, 2004. Baltic Sea. (main organiser: m-cult – the Finnish centre for new media culture). The event comprised a two day/night programmed ocean cruise combining conferences, workshops, performances, installations, music and club programs on the Silja-Opera, a cruiser ferry; conferences, exhibitions, performances and site specific works in Tallinn, Estonia and Helsinki, Finland; and a programme of residencies, masterclasses, and lecture programmes across the Nordic and Baltic regions. Conferences were held at Lume Media Centre in Helsinki and the Estonian Art Academy in Tallinn. Exhibitions were held in public spaces and in several venues in each city with key exhibitions in Kiasma Contemporary Art Museum, Helsinki and Tallinn City Gallery organised by Estonian Centre for Contemporary Art. 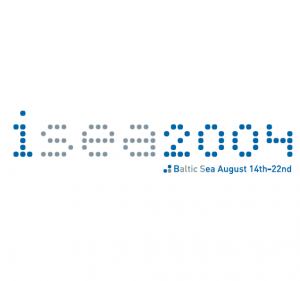 The ISEA2004 catalogue (also available on ISSUU) documents all works presented in the ISEA2004 program on the Baltic Sea, in Tallinn, and in Helsinki. A copy of the broadsheet magazine about the program is available here on ISSUU. A copy of the brochure and call for participation is available here on ISSUU. For a full list of staff and program committee members see page 25 of the ISEA2004 magazine above.